Jockey Skye Bogenhuber is looking forward to her impending move from Toowoomba to Scone in NSW. The firsts continue for jockey Skye Bogenhuber whose career continues to soar. 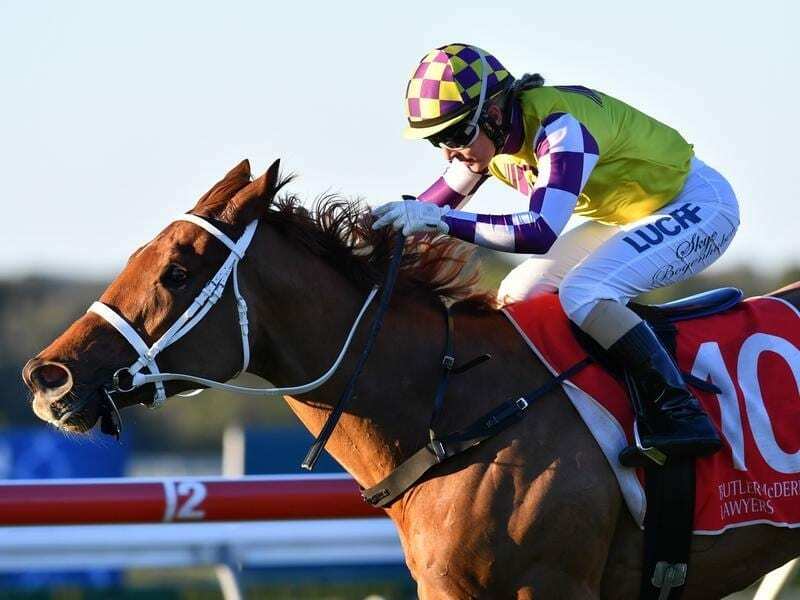 Bogenhuber had her first ride for the powerful Chris Waller stable on Sacred Rebel at Caloundra and came up a winner on Saturday. She picked up the ride when Michael McNab was unable to make the weight. “It was just a thrill to have my first ride for Chris let alone win on it. Sacred Rebel is a really nice horse and I can only thank him for the ride,” Bogenhuber said. Bogenhuber rode a Group Two winner at her first attempt on The Monstar in the Moreton Cup at Caloundra last month. She will relocate to Scone from Toowoomba in two weeks where she will be the No.1 rider for trainer Brett Cavanough. Bogenhuber rode her first Scone winner for Cavanough on Friday and also rode a winner for the stable during the recent Grafton carnival. “I am looking forward to the move and just have to sort out a few things before I go full-time. I should be there by the end of the season in two weeks time,” she said. While Bogenhuber is moving south, former Victorian jockey Dale Smith is making every post a winner with his decision to switch to Queensland. Smith was one of the main riders for the powerful Caulfield based Mick Price stable before he time off to pursue a career in real estate. After resuming riding late last year Smith decided to relocate to Queensland last month and has ridden three winners in the past two days. He rode a double at Toowoomba on Friday and scored on Dapper One at Caloundra on Saturday. “I have decided to live at Aspley (on Brisbane’s northside) which means I am between Eagle Farm and Deagon where I can ride work,” Smith said..